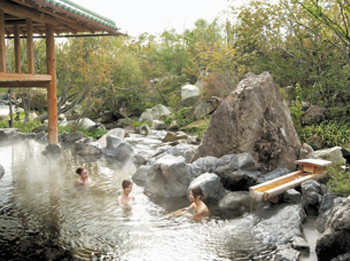 Nagashima Onsen is the place where the Kiso River, the Nagara River and the Ibi River merge and surrounded by greenery and blue sky. 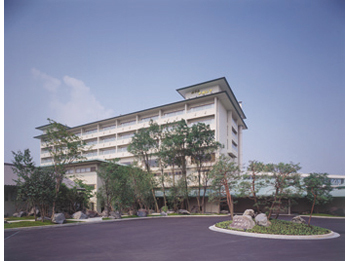 Hotel Nagashima has two types of room. 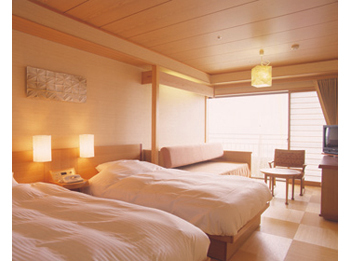 One is a Japanese Western-style room featuring hotel functions based on the image of Japanese room. It is able to walk in the room by bare foot. And the other is a normal Western-style room. Meal is served by buffet style. 25 minutes on bus from JR and Kintetsu Kuwana Station bound for Nagashima Onsen. Get off at the last stop, then 2 minutes by shuttle bus. 20 minutes by taxi from JR and Kintetsu Kuwana Station. 15 minutes drive from Nagashima Interchange on Tomeihan Express way via Route 7. 3 minutes drive from Wangan Nagashima Interchange on Ise-wangan Expressway.